Brussels. A panorama of tragic heroes, manipulative losers, involuntary accomplices. No wonder the E.U. Commission is keen to improve its image. 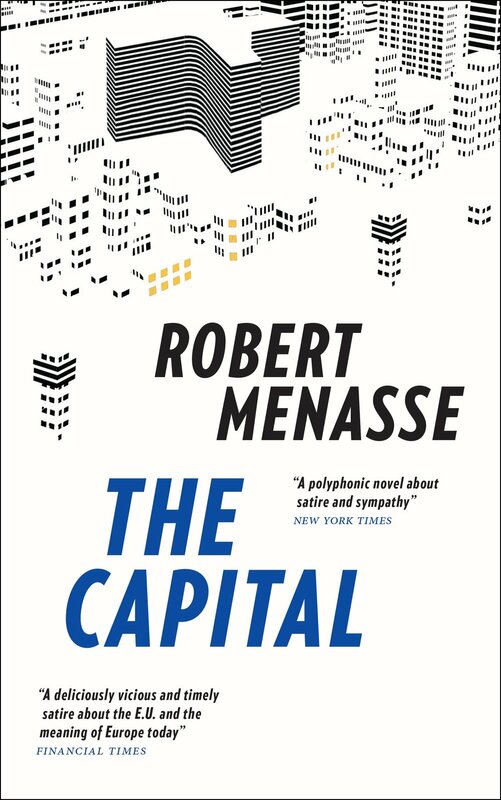 The Capital is a sharp satire, a crime story, a comedy of manner, a philosophical essay - the major European novel, published on the eve of Brexit, at its heart the most powerful pro-European message: no-one should forget the circumstances that gave rise to the European project in the first place. As the fiftieth anniversary of the European Commission approaches, the Directorate-General for Culture is tasked with planning and organising a fitting celebration. The project will serve the wider purpose of revamping the Commission's image at a time of waning public support. When Fenia Xenopoulou's Austrian P.A. Martin Susman suggests putting Auschwitz at the centre of the jubilee, she is thrilled. But she has neglected to take the other E.U. institutions into account. Inspector Brunfaut is in a tricky situation too: his murder case has been suppressed at the highest level. Luckily, he's friends with the I.T. whizz at Brussels' Police H.Q., who gains access to secret files in the public prosecutor's office. Matek, the Polish hitman, knows nothing of this. But he does know that he shot the wrong guy, and for Matek, who would rather have become a priest, this is serious. And what about the pig farmers who take to the streets of the city to protest about existing trade restrictions blocking the export of pigs' ears to China . . .?